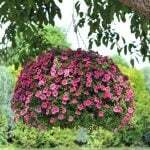 Its kind of a no brainer that in order to have a pretty garden, your garden plants must get watered. However, if you live in an area that doesn’t get consistent water from Mother Nature, your plants health (and beauty) may suffer. And if your home doesn’t have underground sprinklers, or if that isn’t common in your area of the country, you probably wish it did. It seems like even with the best of intentions, no amount of hand watering can equal what a consistent watering system can do for your garden. 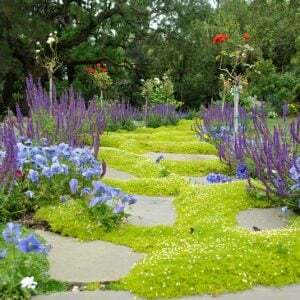 It can mean the difference between a lush oasis and a straggly mess. Having underground sprinklers installed by a professional can cost thousands of dollars. 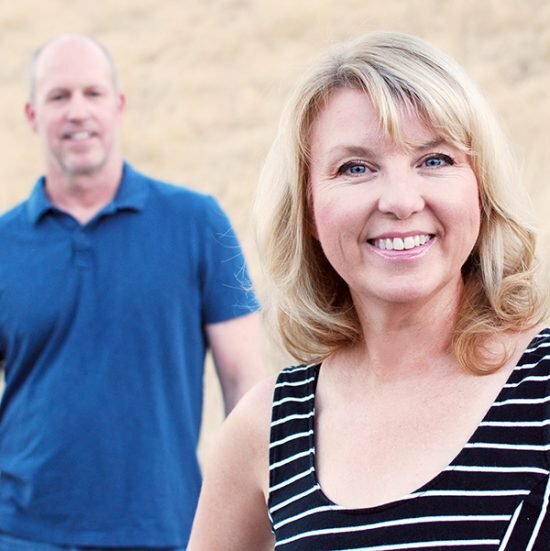 Lucky for us, thanks to home improvement warehouse stores and some creative bloggers, you can DIY sprinklers, soaker hoses and build drip systems for your yard and garden. You can even customize them to your specific needs and attach timers, saving on water and time. Photo by ‘Organic Life‘. First, the difference between sprinklers, soaker hoses and drip systems. Sprinklers can be installed either above or underground, and water broadly with a sprinkler head. Sprinklers are better for lawn or large expanses of ground cover. 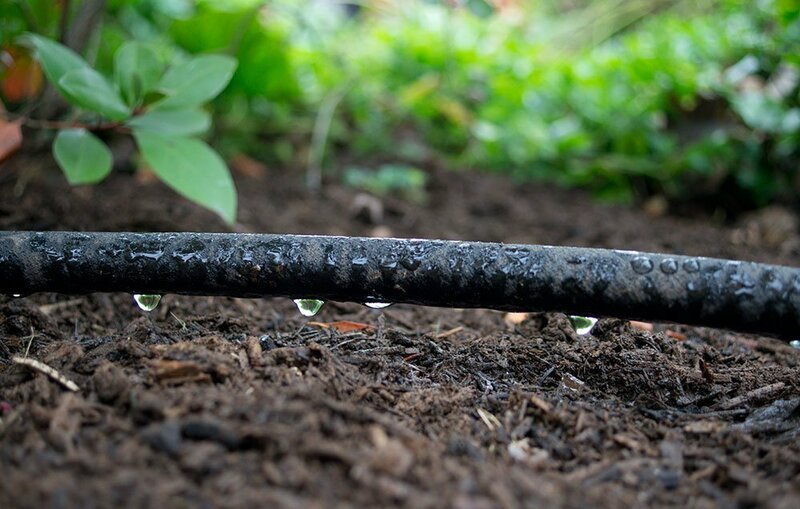 A drip irrigation system allows the water to seep into the ground slowly, sending water directly to the root zone of each plant. 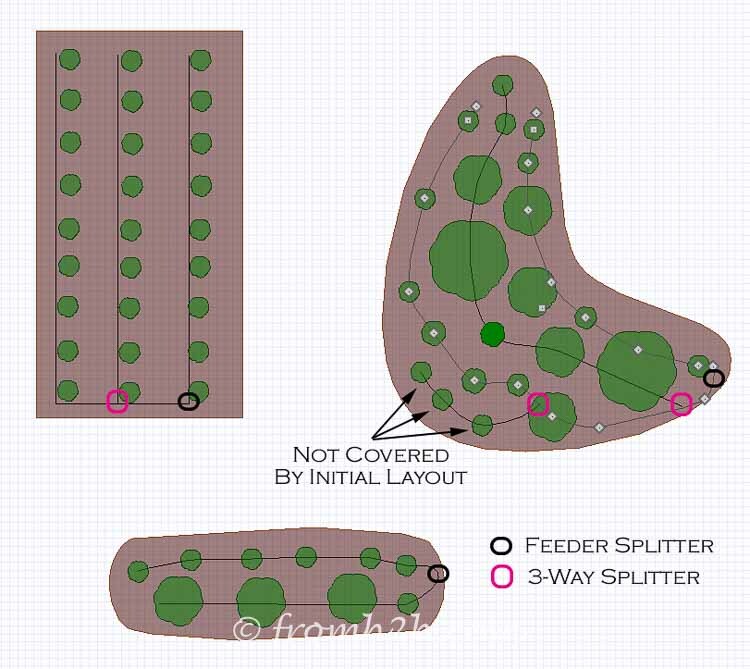 You can run individual lines to each plant allowing for more direct watering without evaporation or waste. 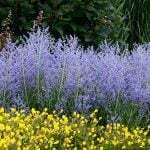 This also helps prevent widespread weeds, as there isn’t a wide area of water for them to grow. 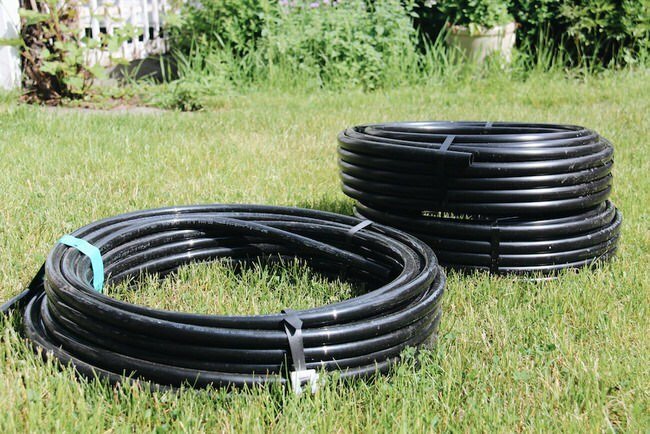 A soaker hose has many tiny holes in it and can be snaked back and forth within a planting bed. This is a simpler form of drip irrigation, but its better for vegetables or mass plantings than individual plants and trees. This first tutorial walks you through the basics of the easiest DIY watering solution, soaker hoses. 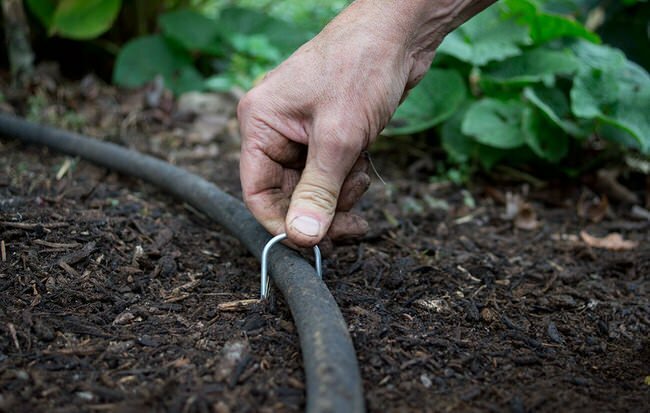 This is a great primer on how to build a drip irrigation system from ‘Rodale’s Organic Life‘. 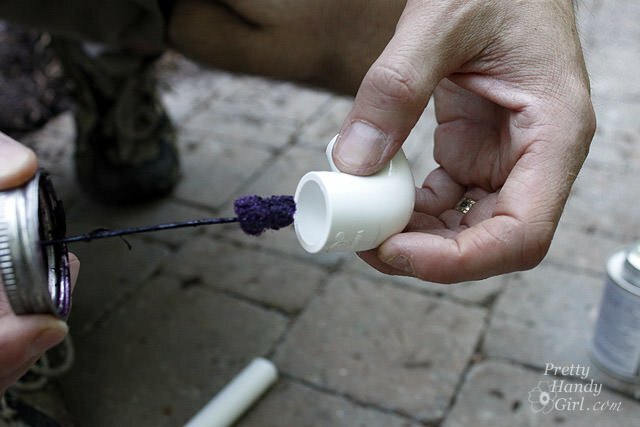 ‘Family Handyman‘ shows us how to make soaker hoses from old worn out garden hose. 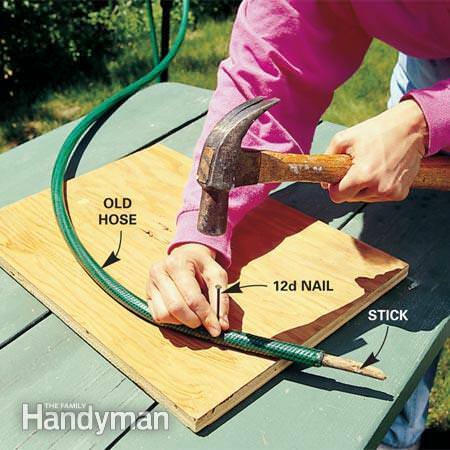 Simply use a nail to poke holes into the hose, and plug the hose end. Easy, cheap, and you are recycling! Ok, so now let’s move up to a building a drip system using PVC tubing. This tutorial on DIY drip irrigation systems from ‘Home for the Harvest‘ even gives you a printable version of the instructions for when you are sitting in the dirt trying to fit it all together! 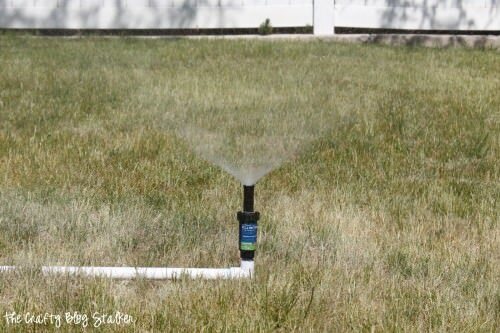 If you want to water a larger area like lawn, but putting in underground sprinklers is out of your budget, try this simple PVC DIY sprinkler from ‘Crafty Blog Stalker‘. 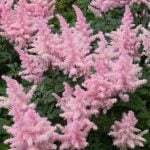 It covers a much larger area than a store bought oscillating sprinkler, which means it cuts your time watering in half! 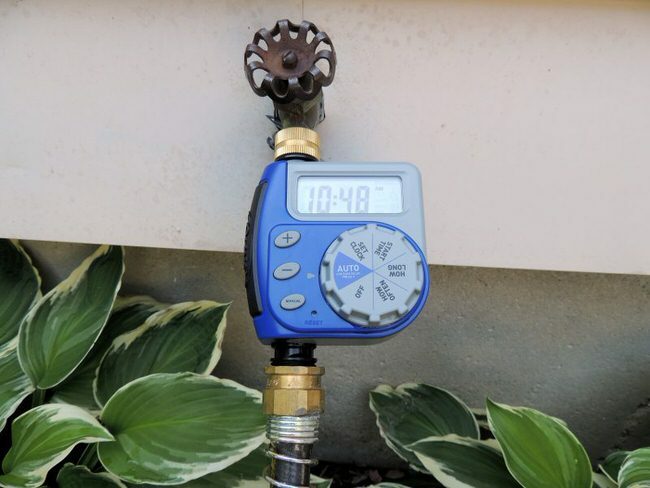 If all you want is to make sure your oscillating sprinkler goes on and off regularly, then try this $32 irrigation system trick from ‘Wife in Progress‘. DIY sprinklers were never easier! Now if you are ready to get serious, (and save some serious cash!) ‘Pretty Handy Girl‘ is ready to teach us how to install your own sprinkler system! This is an underground system. They do a great job of taking your through step by step with tons of photos. 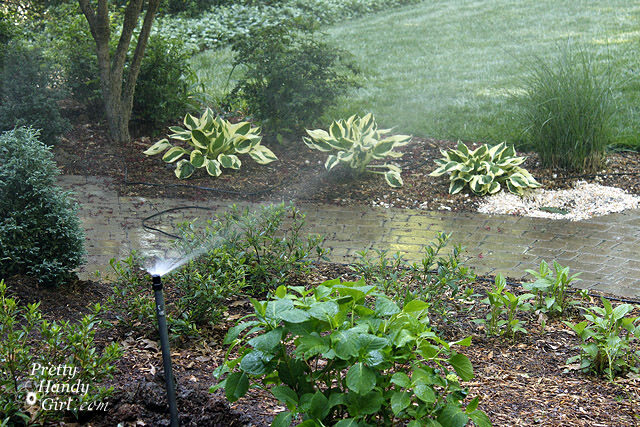 Glad you enjoyed our post on DIY sprinklers, DIY soaker hoses, and DIY drip irrigation! 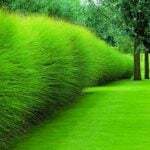 You may also really enjoy our post on How to Plant a New Lawn from Sod or Seed. ← Heirloom Gardening : What It Is & Why Do It! 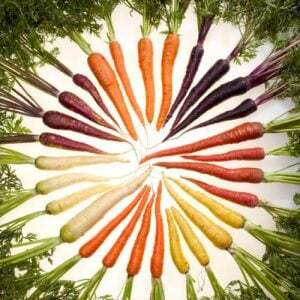 Heirloom Gardening : What It Is & Why Do It! Very cost effective DIY Drip System, Hope to install it soon. Thanks for your help.